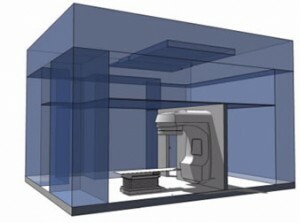 Aktina Medical Physics Group offers a comprehensive shielding design service. With over 40 years of experience in this area, Aktina’s physicists can assist with both new vault design and existing vault evaluation. Aktina will work with facility physicists and administrators as well as coordinate and consult with architects to streamline the process. Architectural CAD drawings as well as solid models are provided as part of the service. The provided certified shielding reports provide clear directive to architects and construction contractor.